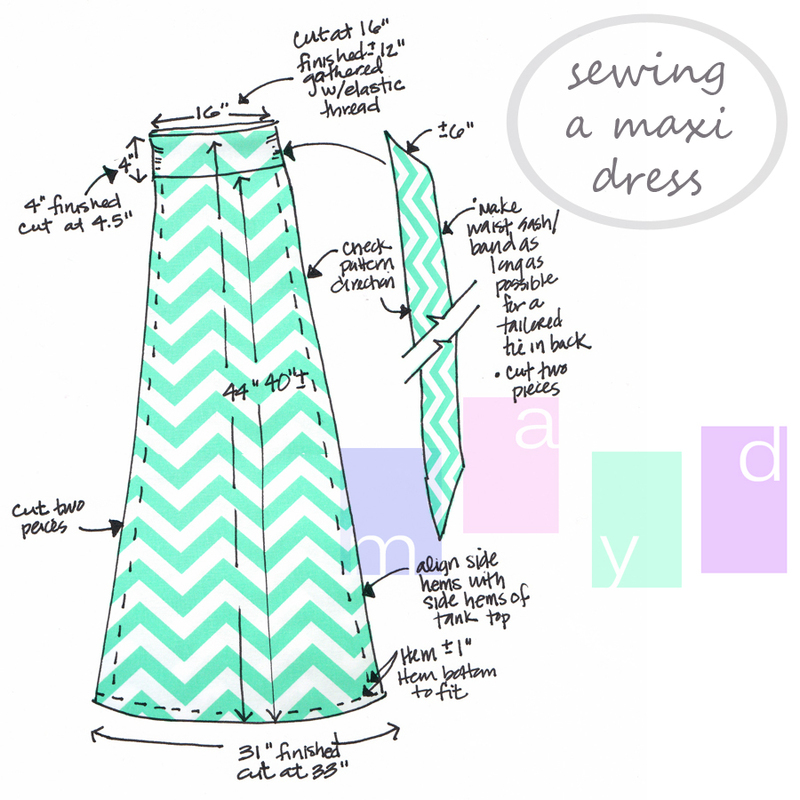 My original chevron maxi dress tutorial seems to be making its way around pinterest so I decided to update my tutorial with step by step instructions to clarify some of the questions you’ve written me about. 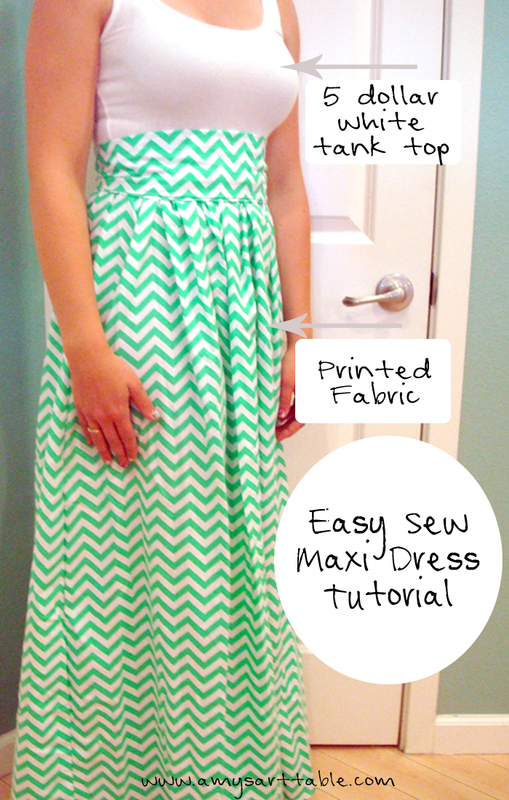 Here is my brand new tutorial for making your own maxi dress just in time for Summer! 1. Cut your fabric to the appropriate size. (see diagram above, I made an A-line pattern). To insure a good fit, I measured a dress I already owned and came up with the measurements you see above. All body types are different so you’ll have to adjust accordingly. I always cut larger than my actual measurements to give myself a little wiggle room for mistakes while sewing. 2. Cut the plain tank top you bought. I cut my tank top at about 16″ from the shoulder to the cutline, I followed this guidance. 3. Sew the edges together (right sides together) to create seams along the sides. 4. Wind elastic thread onto your bobbin. loosely, by hand. Keep regular thread on top! 6. 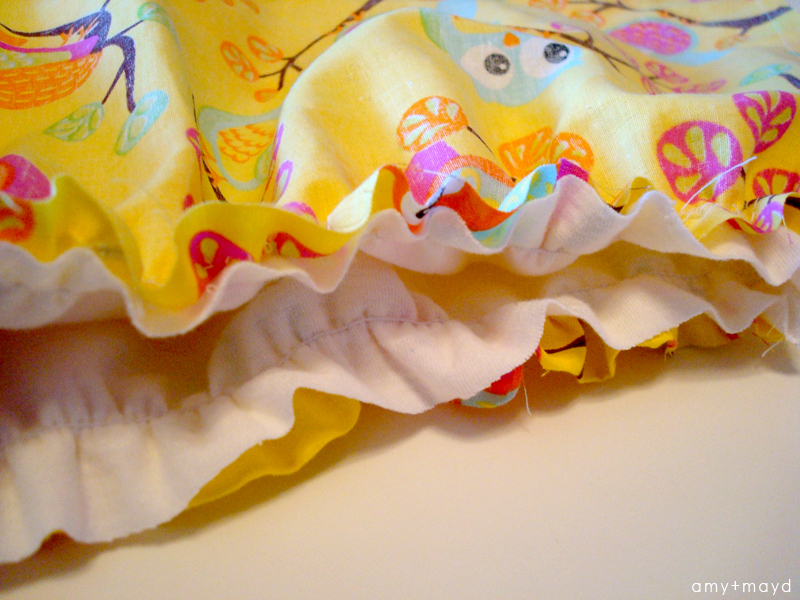 Insert your tank top (right side up) into your newly gathered skirt. Pin so that seams of shirt match seams of skirt, down the side. 9. Try dress on and decide on final length. 10. Pin and sew a finished bottom seam. 11. Create a simple sash. (See above diagram). 12. Dress should be complete at this point! Please feel free to contact me in the comments section for any questions! Now that I have made a few of these dresses I find them pretty easy. Here is my toddler version I made for my daughter. 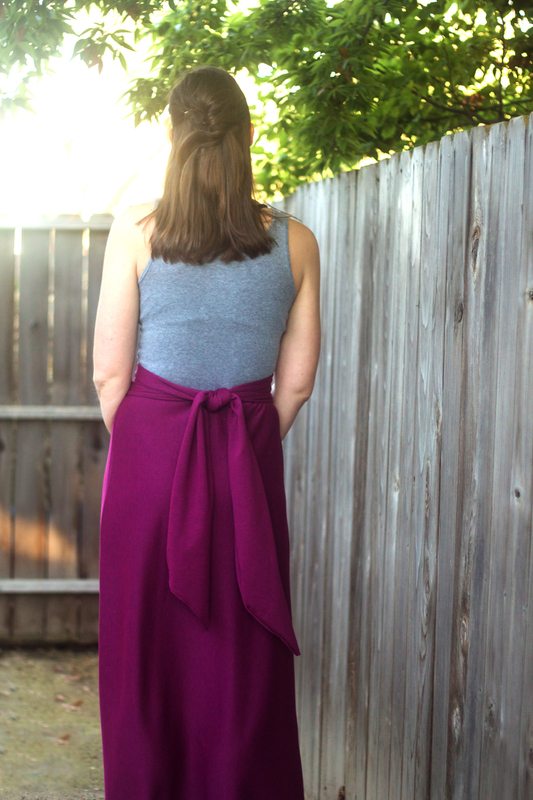 I love simple sewing and maxi dresses! I love your tutorial. Just wanted to ask how you get the dress over your head with such a tight sash? do you leave the sash open in the back? Thanks! Could you make this just as a skirt and not attach the shirt? Yes, you could do that you would sew the skirt according to the tutorial and then you would want to add some sort of waistband over the top portion of the skirt. You could make and attach the sash for that purpose and to give it a finished look.